How is Android OS King of the Hill? The marketing term "Android" is heard almost as often as 4G but what does Android actually mean? The term Android actually denotes a Linux operating system - think hardware - designed mainly for mobile applications like cell phones, such as smartphones, and tablet computers, like the iPad. An ancillary application for less sophisticated versions of Android operating system is netbooks or laptops, although this is less common. Back in 2005 the juggernaut company Google purchased Android but before that Google was a key financial contributor to Android's enterprises. The reason Android is so big today is that it made a splash at an expo called the Open Handset Alliance, which is an enormous technological nexus of startup companies dedicated to future innovators in software and hardware specializing in open source or open standards for mobile applications. Open source basically means a piece of software catering to gratuitous distribution alongside full disclosure of the software's design and implementation capabilities. This expo helped launch what's known as the Android Open Source Project (AOSP), which is a project spearheaded and financed by Google dedicated to development of ongoing and creative open source applications for Android compatible devices. Android just two years ago became the world's largest smartphone platform and most used operating system for smartphones around the globe. 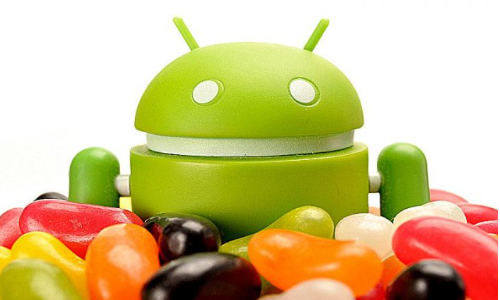 According to figures from the first quarter of the 2012 business season, three out of five phones used Android. That means that walking into a coffee shop anyone in the world (Japan, US, India, etc.) six out of ten phones would be Android compatible! Perhaps the reason Android is the top dog of the cell phone platform game is that it's open source and compatible with many carriers. Nonetheless, to keep up this dominating prowess Android must be doing something else correctly...but what? The answer is their cutting-edge programming. Google does a lot of things correctly with Android but the keys to Android's success are perhaps Google's hiring of smart and creative talent alongside a platform conducive to long-term customer loyalty. The latter is perhaps more abstruse and difficult to describe but the Android, like Mac computers perhaps, appear to fluidly mesh usability, open source coding on some applications, and elegance. The OS and configuration of the Android OS is sleek and user-friendly, which keeps people coming back. On the more technical side of Android's success, Google hired thousands of talented developers to create new applications (apps) for the Android operating system. The developers utilize open source coding and relatively simple hypertext markup languages or programming apparatuses like Java. Topnotch designers use programming languages like Java to create intuitive layouts for smartphone users. For instance, Android users have access to storage repertories like "SQLite" to handle their data and cutting edge applications like "Android Cloud to Device Messaging" that allows messages between servers, applications, carriers, and devices. The comparison to Mac seems genuine and easy because Android developers notice market trends and customer needs and respond with intuitive and elegant ideas. This article has detailed the stranglehold that Android has over the market share and its competitors. The reason Android is on top is because it understands that good service means listening to customers and responding accordingly. Android developers often use simple applications - via Java - to deliver big results. Missy Higgins writes about technology, finance & finding the best quotes for health insurance.